My daughter sent me a link to a photo that I think could inspire some really nice artwork for the letter W….but it took more time than I had at the end of the day today. So I shall table it for now, and bring out Plan B (a much shorter W)! 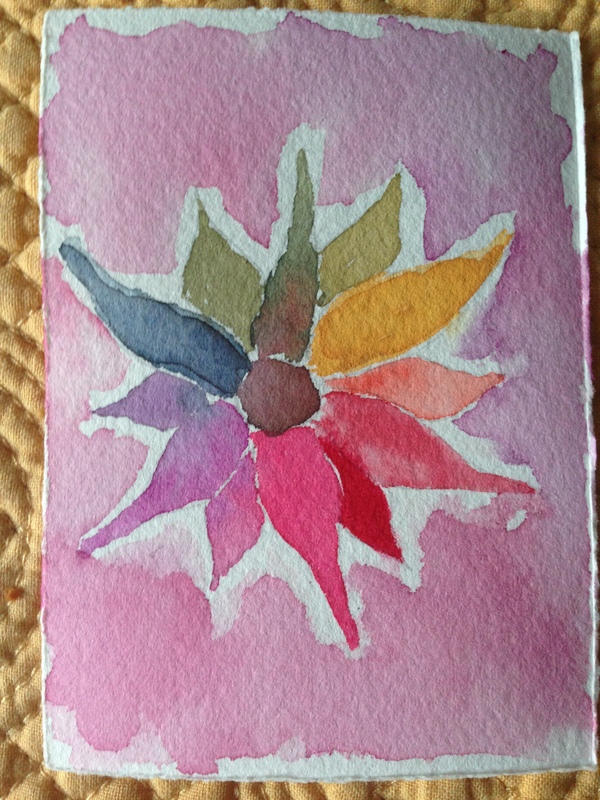 This is a watercolor experiment starring Graham Naples Yellow, Graham Alizarin Crimson and Cotman Indigo. It would have been much crisper if a) I had taken the time to let the colors dry in between so they didn’t bleed together and b) if I had been working on something larger than a business-card sized piece of paper. I thought it might be useful to someone interested in those colors, though, plus I was running out of time(!) so I decided to go ahead and post it. This is also an experiment in the same vein. A couple of the petals were painted dry vs. wet into wet. They stand out like sore thumbs but I didn’t have time for a re-do. So what you have here are those same colors from above, plus a few others, such as the purples on my palette (which are all Cotman) plus Winsor & Newton Rose Madder, Graham Quin Rose, Cotman Cadmium Red hue, yeah I think that’s all of them. I hope all of you have a wonderful Saturday, and a terrific long Memorial Day weekend to all my friends in the States! Peace and hugs to all. Making me want to watercolor! Been so busy running I haven’t had time! Off to Cleveland today for a bridal shower and overnight with a bestie. No painting in my near future but soon. Thanks for the beautiful inspiration. Happy Memorial Day weekend ! Thanks as always for your beautiful comment, Jodi! They always make my morning. Have fun today and all weekend long! 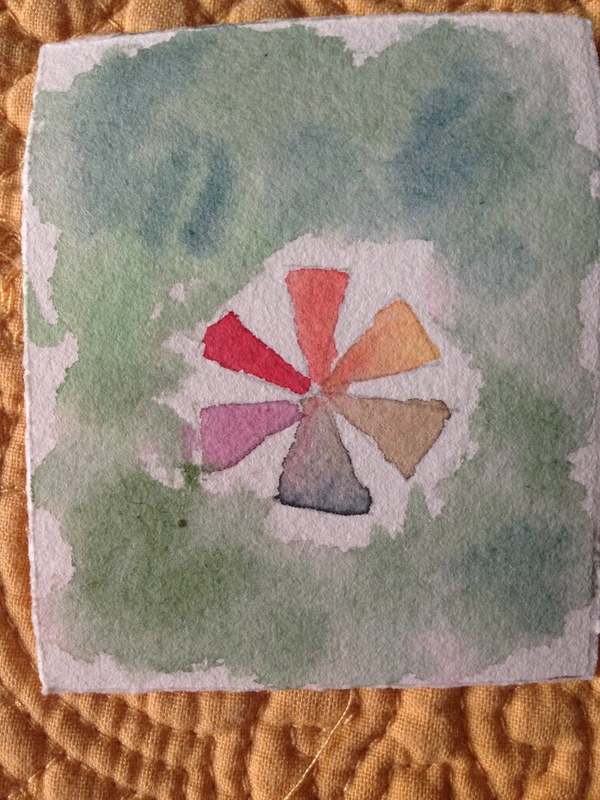 Good morning Laura – It’s the surprise watercolor bleeds that make watercolor so magical. These are beautiful sketches of color. Enjoy the weekend! Those colors are wonderful and optimistic. Thank you. A friend is dealing with a serious medical issue with her husband and I was feeling all out of optimism. Maybe it flowed into the painting. Thank you, Kirk. Thank you, Jill! You always make me feel so great. I hope you and your husband have a wonderful weekend! Beautiful colors!!! Love those flowers!! !